Nope, the $100,000 Phantom V1610 doesn’t even come close. 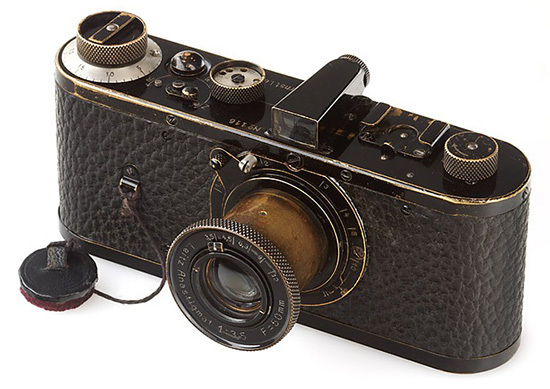 The answer is the 1923 Leica with a whopping 2.16 million euros. Or $2.8M. The German-built camera was bought by an anonymous bidder at an auction recently. However expensive the camera, there’s one thing it still can’t do. I remember I read about a professional photographer who shared that to be a successful photographer, it’s 70% photographer and 30% camera. That means even though you own the world’s most expensive camera, you still need to learn to take good pictures. The main factor still lies in the person, not the tool he uses. Same goes to sports cars. Even though you can afford a Ferrari, that fact alone doesn’t make you the fastest driver on the planet. By the same token, you can’t buy your way to be a good parent. And I don’t care how rich you are. Being a parent does not mean you have to be the first to get the latest, fastest, thinnest, highest, biggest, or the most expensive stuff. It’s not the toys you buy that makes you a great parent. It’s not the fashion that makes you great. It’s not the most expensive dinner you buy for your child. YOU are the determining factor that decides whether you’re a great dad or a great mom. NOT what you buy for your kids. Good news is you don’t need a lot of munny to be a good parent. All you need is to commit to be one and apply some timeless parenting principles that work regardless of what you have or don’t have. To learn more about these tips, check out The Nonconformist’s Guide to Parenting.